As films shot in Minnesota go, "I Am Not a Serial Killer" is not nearly as high-profile as "Grumpy Old Men" or "Fargo." But that doesn't mean the horror-thriller, being released for streaming only on Netflix Dec. 13, should be overlooked. There was a little buzz when the movie started filming in the Iron Range region in February 2015, in part because it was based on Dan Wells' well-received 2009 novel about a crime-fighting teenager, but also because it meant local sightings of Christopher Lloyd, an actor beloved for his roles in "Back to the Future" and "Taxi." But the film, which premiered at the South By Southwest Festival this past March, appears to have some other draws. Based solely on the trailer, director Billy O'Brien took full advantage of the Virginia/Hibbing location shoot, capturing everything from small-town main streets to snow-covered woods. There's also the sight of a grown-up Max Records, who got his big break as the lead in "Where the Wild Things Are." 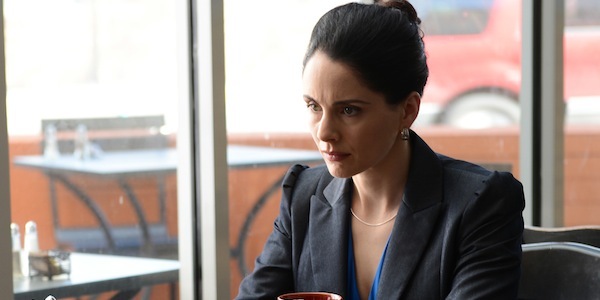 But the most eye-popping attraction is the presence of a very familiar looking actress named Laura Fraser. Where have we seen that face before? Hey! It's Lydia, one of Walter White's most intriguing nemeses from "Breaking Bad."